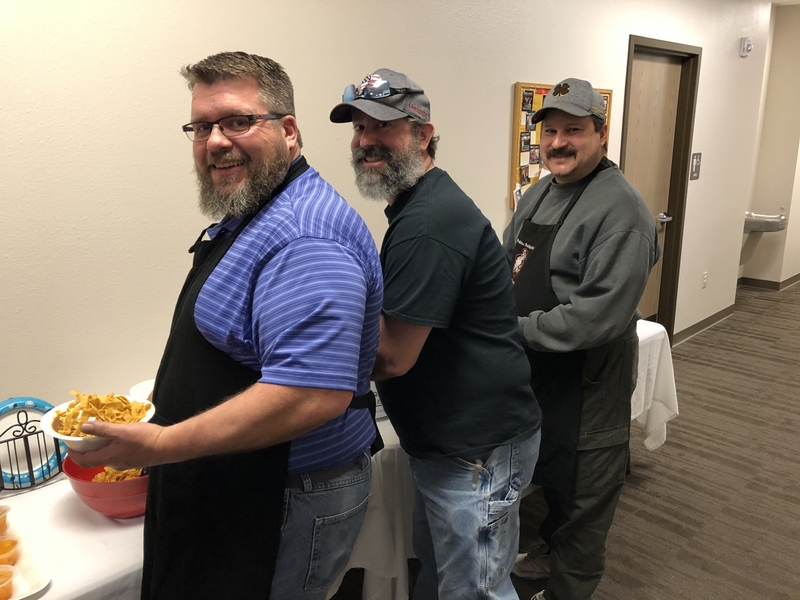 Faith & Fellowship Night at Holy Apostles tasted amazing as Curtis, Gary, and Steve prepared a wonderful chili dinner for all to enjoy! In addition to tasty food, special guest presenter, Presvytera Victoria Ziton of the Wyoming Food Bank of the Rockies shared information about all the philanthropic work Food Bank does throughout the state, as well as how parishioners can assist in their mission. The evening concluded with a fun game. Faith & Fellowship Nights are open to all in the community and we look forward to having you visit!